For patients who have a tired look and thinning dermis, Dr. Rodriguez performs Fat Injections , also known as Fat Transfer , to the face to restore volume. Patients whose dermis has thinned due to the normal aging process can leave the face looking tired or sagging. 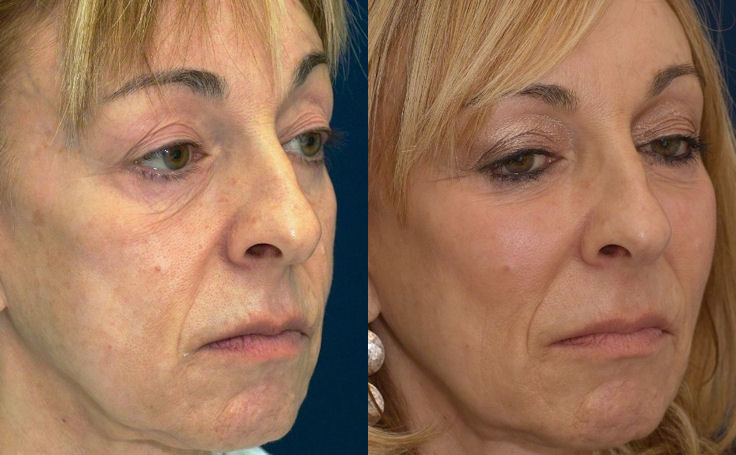 This woman in her 50's had a sunken look to her cheeks before receiving the Fat Injections. Notice how the cheeks filled out and gave her face a more healthy and youthful appearance. To learn more, read Dr. Rodriguez's blog post about facial fat grafting.